William Pegg is the Director and founder of Synthesis Group. 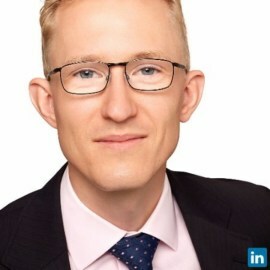 He specialises in working with companies to improve profit and revenue through better knowledge of strategic procurement. A passionate communicator, William advises, presents and comments on profit and growth strategies for business. His primary audience includes executive management, sales professionals, account managers and procurement leaders. With a 14-year background in corporate procurement, William has worked extensively in corporate travel as both a buyer and adviser. His career origins were in multinational FMCG, manufacturing, resource and service firms. He started in supply chain, moved into finance and now guides leadership teams on how to implement the successful principles applied by leading tier 1 organisations. William is a published author. His book, ‘Changing the Game’ is the only book published on strategic procurement for an executive management audience.